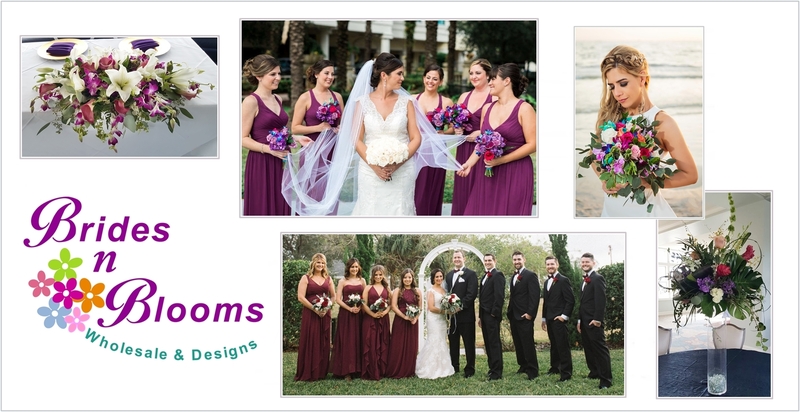 Bridal Party bouquets are one of the most important pieces to your wedding! They embellish and enhance the bride and bridal party’s whole look. They add a freshness and a pop of color when walking down the aisle. Wedding flowers hold a special place of honor in the wedding procession. Do you know where the tradition of carrying flowers for a wedding came from? Ancient Greek, Roman and Celtic brides carried bouquets and wore garlands of fragrant herbs and spices including dill, rosemary, myrtle and garlic. It was thought the fragrance would drive away evil spirits, bad luck and ill health. During Victorian times, flowers took an additional significance, as lovers would send messages to each other using different flowers, with each flower having its own meaning. These associations were soon adopted for the bride’s bouquets and are still used today by many brides. The groom is supposed to wear a flower that appears in the Bridal Bouquet in his buttonhole. This stems from the medieval tradition of a Knight wearing his lady’s colors, as a declaration of his love.